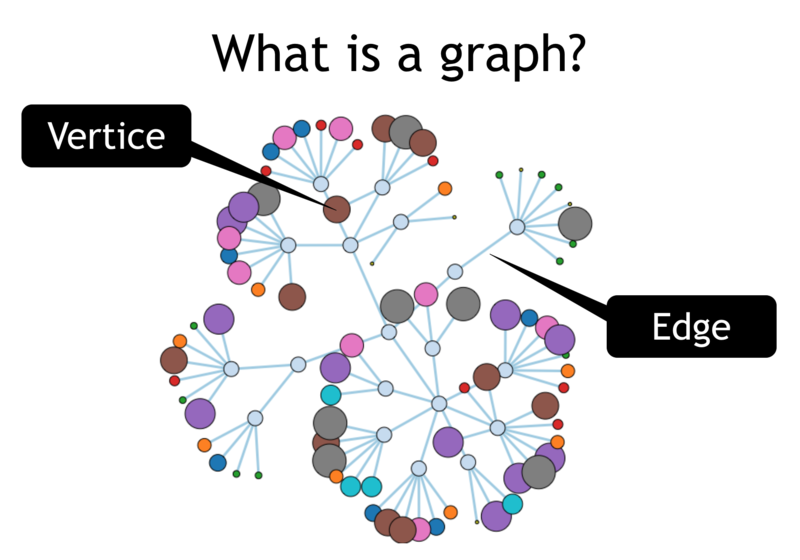 A graph database, or otherwise known as “graph-oriented database,” is a particular form of NoSQL database that makes use of a graph to query, house, and map out relationships. It consists of databases which specifically serve to store data structures that are graph-oriented. A graph database is an example of a storage solution that shows where linked elements are connected to each other in the absence of an index. Groups of a specific entity can be accessed by means of dereferencing a pointer. There are various kinds of graphs that can be stored. They can range from a single undirected graph to property graphs to hyper-graphs. Storage is specifically arranged for the data to be represented as a graph, with provisions made for housing edges and vertices. Storage is tweaked for graph transversal without making use of an index when following edges. A graph database is arranged so queries leverage proximity data beginning from a single or multiple root nodes, as opposed to global queries. A data model that is flexible for certain solutions: without having the need to declare data for edges or vertices, instead of a table-oriented model of database. Has an integrated API along with entry points for further algorithms of graph theory. Neo4j Graph Database: What Is It Really? Neo4j is an example of a scalable and reliable graph database made by Neo Technology. It is a native graph database, and created the now open graph query language called “Cypher.” A wide range of licenses have been made available, going from an open-source option to an exclusive enterprise subscription. Currently, Neo4j is a widely used graph database globally, with years of production and thousands of deployments in startups to Fortune 500 companies. Many choose to deploy Neo4j Enterprise for the GraphGrid Data Platform since it’s the fastest and highly scalable native graph database in the world. The advantages that Neo4j offers in modeling connected data are impeccable and allows for tackling problems that couldn’t be resolved with typical databases. The next topic will cover the aspects of a native graph database.